There's been a significant and unexpected development in southern Syria, where the Syrian Army and allied forces are engaged in a major offensive to take back Daraa and Al-Quneitra provinces from long entrenched FSA, al-Qaeda, and ISIS groups (the ISIS branch is known as Jaish Khaled Bin al-Waleed). Though we and others have noted that this massive final battle to solidify Assad's hold over key areas bordering Jordan and the Israeli occupied Golan Heights could trigger US-Israeli intervention, consistent with recent threats from the US State Department, it now appears Washington has changed its tune. Though the State Department has continued its public threats that the US will "take firm and appropriate measures" against Damascus should its military campaign continue in Deraa, it appears Washington has washed its hands of the "Southern Front" militants it helped create — now essentially telling them: you are on your own. The United States has for months warned Syrian President Bashar al-Assad and his Russian allies that violations of a southwest “de-escalation” zone brokered between the US and Russia last year would have “serious repercussions." 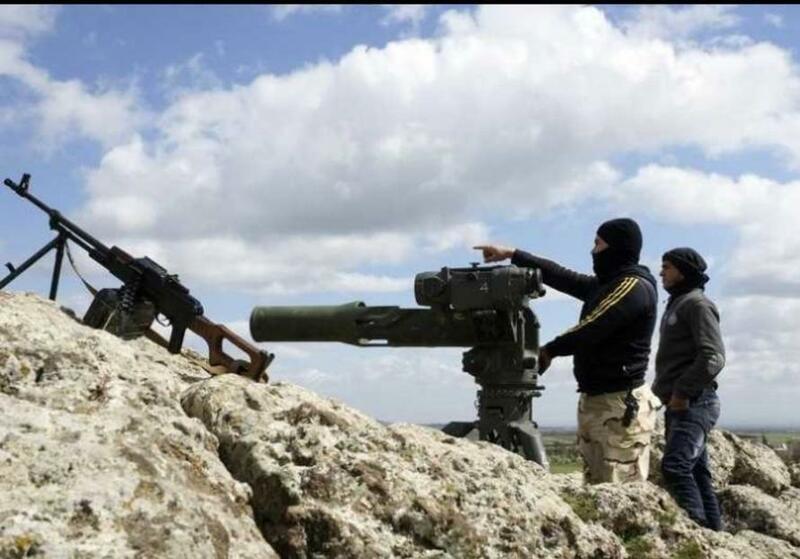 For years, rebel forces known as the Southern Front received covert U.S. arms, funding and training to help them fight both the Syrian government and IS. But President Donald Trump ended the CIA program last year to try and extricate the U.S. from the civil war, an effort that was again thrown into doubt when an alleged chemical attack this month prompted U.S. and allied airstrikes against Assad's forces. But this latest message to anti-Assad militants could signal the beginning of the end amidst new reports of rebel collapse in the northwest parts of Daraa province. “We in the United States government understand the difficult conditions you are facing and still advise the Russians and the Syrian regime not to undertake a military measure that violates the zone,” the message also stated. And then what sounds like a Washington farewell letter of sorts: "But we need to clarify our position: We understand you need to make your decision based on your interests and the interests of your families and faction, as you see them. You should not base your decision on the assumption or expectation of military intervention by us." President Assad has repeatedly vowed to retake "every inch" of sovereign Syrian territory. Though it now appears the US is backing off its pressure in the south, the Pentagon still maintains over a dozen forward operating bases in Syria's north and east, including some 2000 or more reported US soldiers and advisers bolstering Kurdish-dominated Syrian Democratic Forces (SDF). One constant and observable pattern when it comes to US intervention in Syria, however, has been that whenever US leadership declares withdrawal from Syria operations, the "rebels" claim a "chemical attack" or other highly visible mass atrocity perpetrated by the Syrian government against civilians. Are you ready for the "last hospital" destroyed and "last Doctor" killed in #Daraa and #Quneitra, mainly in stronghold #ISIS moderate-friendly-rebels in south of #Syria? It is the last battle (forget about Idlib now). So watch it! Pro-Takferee will excel. The other possibility and great unknown when it comes to the battle for Daraa and Al-Quneitra is that the US could give Israel a green light to launch further attacks on Syria. Early on Sunday the Israeli Defense Forces (IDF) announced its Patriot defense system was activated after an unidentified drone approached the Golan border. The IDF acknowledged that Israel's missile defenses failed to hit the target. Video of the failed drone intercept was published online by an Israeli journalist. Some observers suggest the drone could be Russian, as over the weekend it became public knowledge that the Russian Air Force — in contravention of US demands — has taken a lead role in air operations over southwest Syria. The Russian military officially entered the southwest Syria offensive this evening, a source told Al-Masdar from the Dara’a Governorate. The Russian Aerospace Forces unleashed a massive assault over northeastern Dara’a tonight, targeting several areas controlled by the jihadist rebels. And significantly, as Al Masdar reports further: "This attack by the Russian Aerospace Forces comes just 48 hours after the U.S. State Department issued a stern warning to both the Russian and Syrian governments about escalating their offensive in southwest Syria."